In “Discover ELS/Santa Monica,” students at ELS/Santa Monica discuss their experiences learning at the ELS Center. Students discuss the sense of comfort the ELS school has provided them, and the location’s safe atmosphere. ELS/Santa Monica is located on the famous Third Street Promenade, where students are exposed to a “mecca of possibilities,” and many shopping and dining options. The Center has also provided students with trips to Hollywood, San Francisco and Las Vegas as they are easily accessible from Santa Monica. In this video, teachers and students discuss their positive relationships with each other, with teachers focusing on English learning but also emphasizing the Center’s diversity. Students are encouraged to practice speaking, listening, vocabulary, reading and writing. 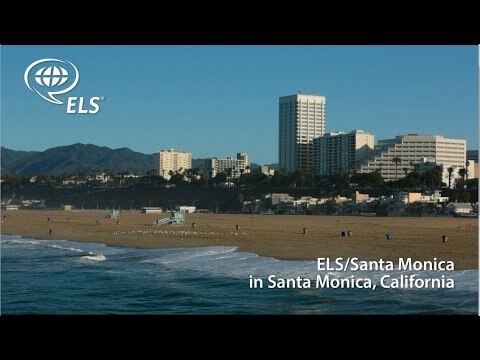 In “Discover: ELS/Santa Monica,” teachers and students discuss the extra help provided to ensure matriculation to U.S. colleges and universities.